Our Weldon X model pulls together long-lasting Flex Mesh, cushioning fuzeGEL Technology, lightweight Solyte midsole material, friction-reducing seamless construction and durable AHAR Plus outsole for 50% more wear in one premium, versatile workout shoe. Weight: 6.5oz. 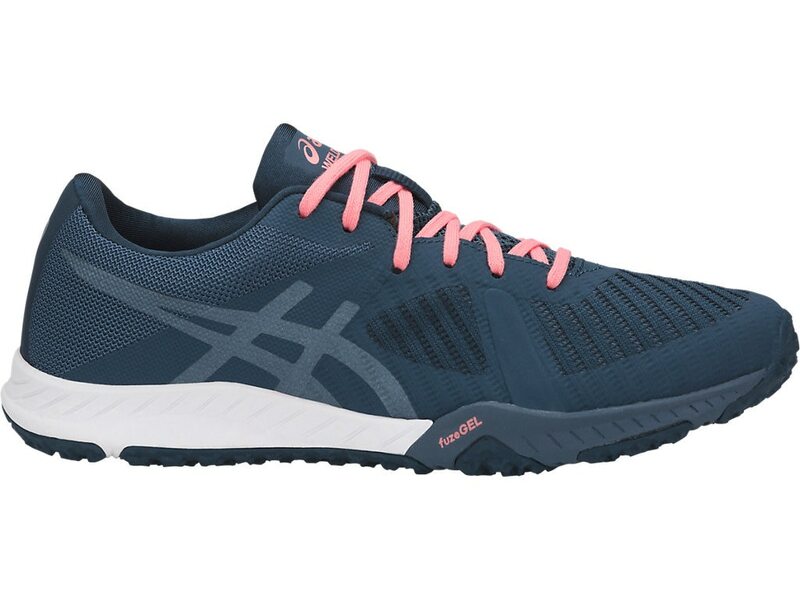 ASICS newest GEL technology cushioning made from the fusion of GEL technology and foam creates lightweight adaptable comfort, tuned to provide rearfoot shock absoprtion that shifts to forefoot bounce back.